Yorgos Efthymiadis is an Architectural and Fine Art photographer from Greece who resides in Somerville, MA. He has always been drawn to buildings, their shapes, their forms and materials, always questioning the perspective and viewpoints. Using light to illuminate their unique character, he often wonders how architects imagined their constructions and frequently reduces architecture to pure geometry. Finally, he loves modernism and travels around the country to photograph many of the iconic houses of this era, including the Farnsworth House in Plano (IL) and the Gropius House in Lincoln (MA). You can visit his website and explore the galleries. Houzz Contributor: Specializing in interior photography and lifestyle journalism, Alexandra loves getting to know the people and stories behind the houses she shoots. Boston's Megan Booth began her photographic career over ten years ago, quickly building momentum and redefining the luxury real estate market along the coast of New England with her coverage of its exclusive, waterfront estates. Her crisp, dramatic images have been the face of major commercial architectural projects over the last decade and have represented a number of American Institute of Architecture award winners. With clients ranging from Sotheby's International Realty to the architecture firms and designers behind the Nantucket Public Schools, the Maine Correctional Center, University of Maine, Maine Medical Center, and multiple others, Booth's images have been in uninturrupted print circulation for the extent of her career, with advertising appearances in publications that include the New York Times, Boston Globe, South China Morning Post, and the Wall Street Journal. 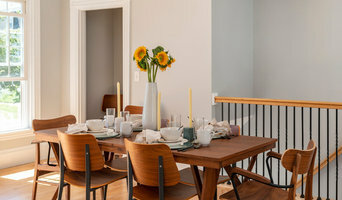 As an Interiors and Architectural Photographer, Danielle shoots homes all over Boston, the South Shore and Cape Cod. She works with interior designers, builders and realtors to create compelling marketing images. On location, Danielle enjoys exploring homes and searching for the design and architectural details that will compose a visual story. Her collaborative and communicative work process gives her a deep understanding of her clients' individual project goals and needs. After 17 years of working as an art director and graphic designer, Danielle Robertson has made her life-long photography hobby a career. 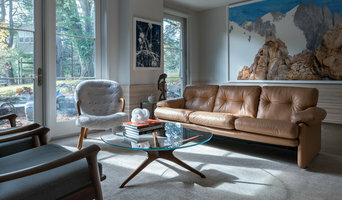 I am a Boston based interior design, real estate, commercial and portrait photographer with a prior career in marketing. My marketing experience comes into play when photographing projects for my clients. I strive to capture images that create and communicate a brand for each business I work with. Please contact me via email or phone for a no obligation consultation for your next photography project. I photograph spaces and people for interior designers, architects, realtors, design/build firms, artists, property management companies and more. One of the most gratifying experiences for me is when a client tells me that the photographs I took really made a difference to the success of their company. It’s that client focus that really defines my work. I am a contributing writer and photographer to Houzz always on the look out for homes with inspired, bold, fresh design as topics for "My Houzz" articles. If you know of any, please get in touch with me. Specializing in gardens, landscapes and residential interior photography. I'll translate your request into vibrant images that showcase your overall design and highlight your level of craftsmanship. Anthony Crisafulli Photography provides artistic, informed, illustrative photography to the design community. I help create a visual narrative and artful presentation for a finished project in the environment. My love for the great outdoors and for the sea have inspired a fascination with the designed environment. Working with architects, landscape architects, interior designers and builders, I am helping create an elegant and thoughtful presentation of their hard work and design sensibility. I love to travel and experience new places. Get in touch and tell me about your new projects. 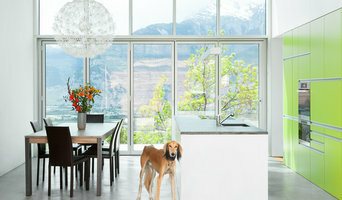 Diane Anton is an experienced architectural photographer seasoned in the art of lighting and styling. Whether you want to highlight the overall style and architecture of a room or focus on specific windows, doors, or furniture, Diane can compose a beautiful image to tell your story. Diane Studied photography at The Center for Design Imaging Arts at Boston University and has been taking photographs for more than twenty years. She has stayed current with the latest technological developments in photography in order to provide her clients with the best images possible. Diane's work has been featured in Architectural Digest, Veranda, Interior Design, Boston Magazine, Gibraltar magazine, Vermont Homestyle, Southern New England HOME, Portfolio, Boston Design, Vestibule, and more. Clients include numerous interior designers, builders, architects and furniture companies. Matt Delphenich is a commercial photographer specializing in Architecture and Real Estate, serving the greater Boston Area. 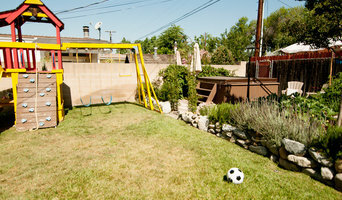 I am a Melrose based photographer specializing in residential and commercial real estate. I have been taking photos for decades and started shooting residential properties professionally for local realtors several years ago. I bring to my work a passion for design and architecture along with a knowledge of what moves buyers and sellers. I have a critical eye, and take pride in noticing the details of a home or property that brings out its best features and special attributes. As a photographer of refined residential architecture and designs, I am passionate about capturing images that enable my clients to attain their business objectives through proper presentation. My client-focused commitment to providing you the highest quality service and satisfaction are essential to meeting my goal of establishing mutually successful, long-term business relationships. Boston and New England, architectural, interior and landscape photography. Available now for architectural, interior and exterior and landscape photography commissions as well as professional portraiture for your business. 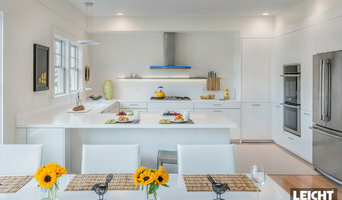 Ramsey Bakhoum is a professional architectural photographer and architectural designer based in Boston, Massachusetts. His work spans New England and Europe, and is featured in permanent installations at University Park, MIT and in homes in the US and abroad. Before you call any potential photographers, make sure they have good references. Friends who've sold or rented homes before are great resources, as are local real estate agents. Look through each Massachusetts photographer's online portfolio to make sure what you're looking for is being offered. Once you've done that, it's a good idea to walk around your home and write down exactly how many and what types of shots you'll need. Include any specifications you might have, such as angles, things to consider about your home’s Belmont, MA site, the time of day you think will be best and aspects of your home you want to highlight. Find a home photographer on Houzz. Narrow your search in the Professionals section of the website to Belmont, MA photographers. You can also look through Belmont, MA photos by style to find a room you like, then contact the professional who photographed it.